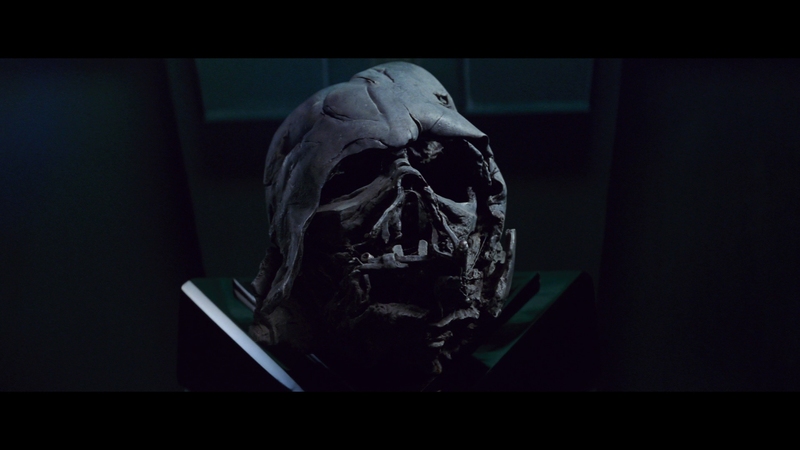 Note: The Force Awakens Collector’s Edition is an odd one. 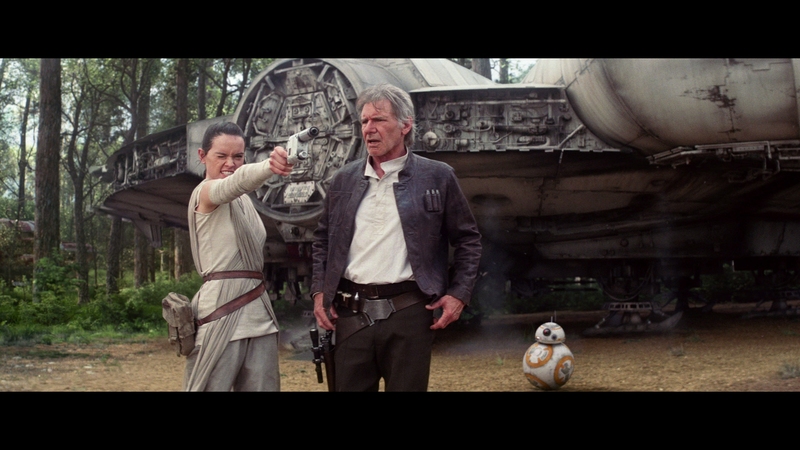 We posted a Force Awakens review alongside the initial run in theaters, then again when the standard Blu-ray hit shelves. Normally on DoBlu, in a situation like this, we’ll post an update to an earlier review, e.g., update the standard Blu-ray text with thoughts on the extras and 3D. However, in these circumstances, there’s a substantial amount of new content and the 3D transfer alone offers significant discussion. So, this is a weird half-review of sorts covering only what’s new. For reference, you can look back on the original theatrical review of Star Wars: The Force Awakens and of the standard Force Awakens Blu-ray. Inside the Collector’s Edition box comes the 2D Blu-ray, the same as the original release (a five star video offering) but now with a commentary track. Also inside is a high-bitrate 3D edition. The playlist file comes in at a meaty 41GB; Disney gave this 3D presentation plenty of space. 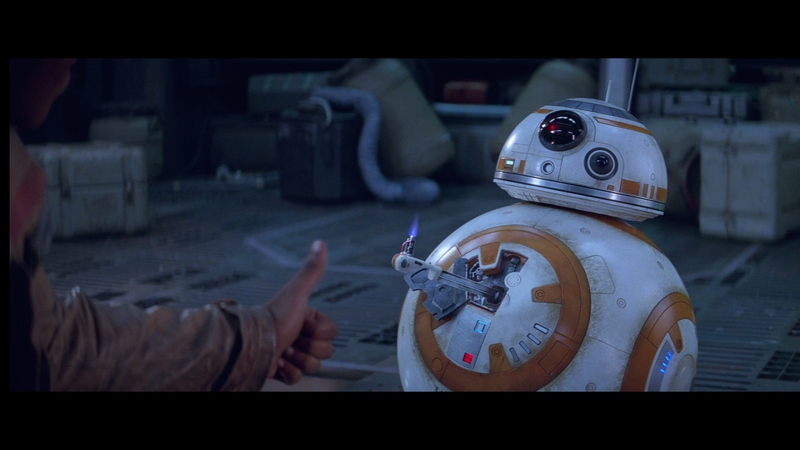 Force Awakens shows it’s not always about bitrate though. Much of what applied to the original Blu-ray stays intact. Facial definition excels, and in particular, those of the many physical suits/props. Same goes for the CG creatures, in particular Maz. Lingering images of Jakku and the surface of Starkiller Base reveal excellent fine detail. Encoding handles the small grain structure. 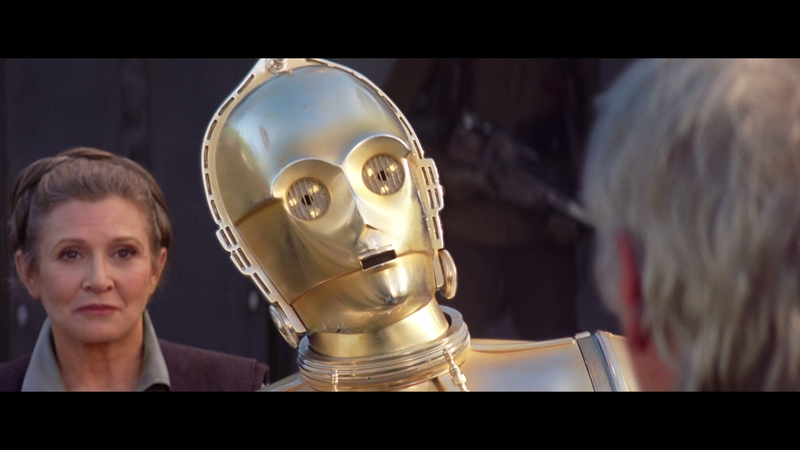 Many fine lines run through Star Wars. Ships and weapons show creative, unique designs, not all of which this presentation can handle. Aliasing sneaks in throughout. 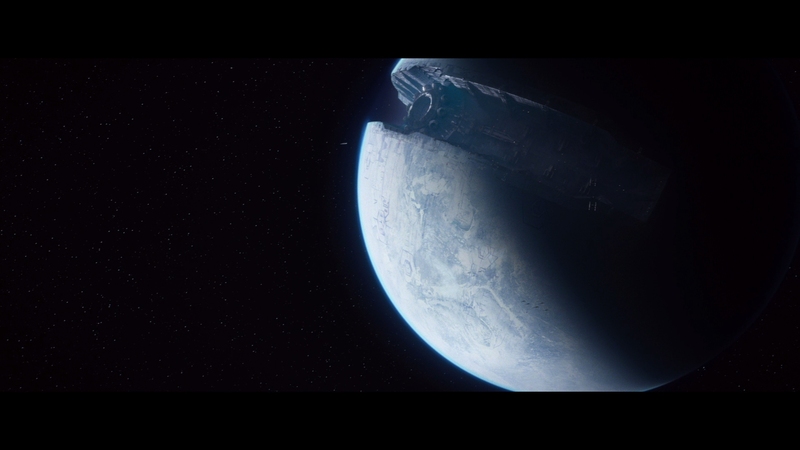 A Star Destroyer shows trouble as the camera pans up. 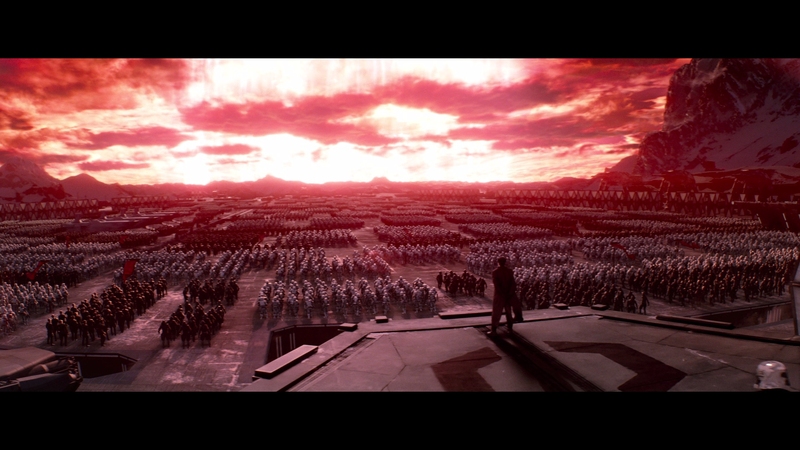 Inside Starkiller Base, the distance shots of its many corridors and shafts stair step. As Rey walks up the rocky hill toward Luke at the end, additional problems surface – many of the steps break up. 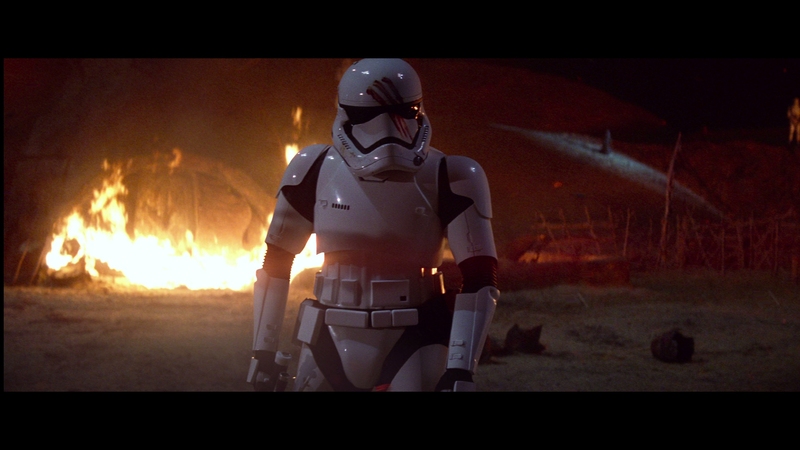 Now the brightness, an immediate concern as soon as the Star Wars logo fades toward space. The entire film now leans toward gray. Whatever depth 3D adds, the pitiful black levels take away. Shadows lack density and intensity, robbing the film’s earliest act of substantial dimension. 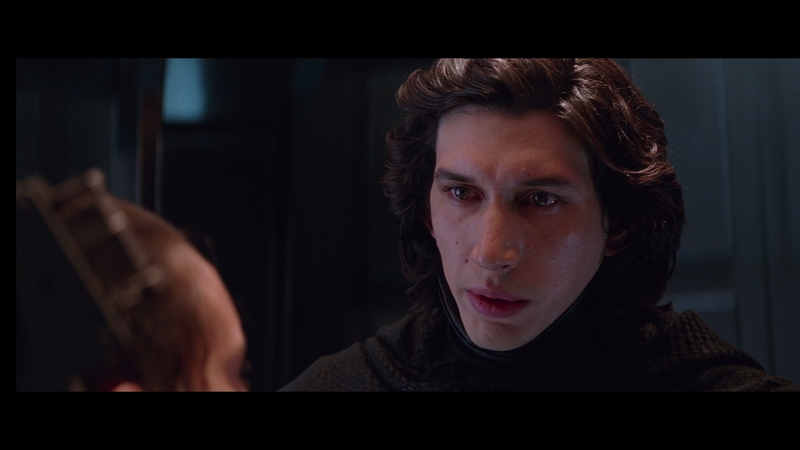 Tie Fighter pilots steer their ships in a pit of gray, and Kylo Ren lacks the menace he once had. The effect is a distracting one, taking away from an otherwise stellar 3D disc. Since Disney hasn’t given us the converted prequels on 3D Blu-ray, Force Awakens will be the only taste of this universe on the format for a bit. Natural, clean depth follows every frame of this film, with superlative attention to everything 3D needs. 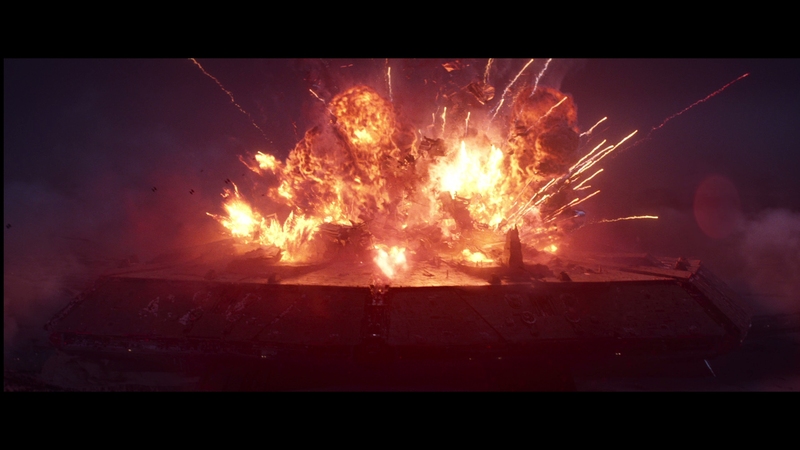 Plenty of foreground objects, long reaching backgrounds (Millennium Falcon, Starkiller Base), extensive flight, all alongside numerous laser-firing shoot-outs. Composition considers the 3D possibilities. 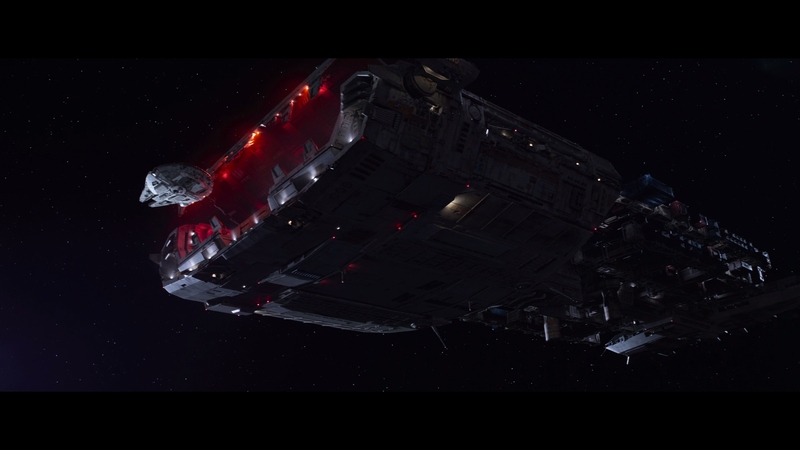 Force Awakens adds in a number of showcase moments too, from the Force-frozen laser passing by Poe, a Star Destroyer poking from the front of the frame, and some steady third-person shots of vehicles in combat. It’s plenty of fun. Critically, it’s consistent. Every scene continues with fantastic dimension. No cut-out characters, nothing flat; depth pours from this one, a refreshing change from an anemic year for great 3D. With better black levels, this is a top-end live action 3D Blu-ray. 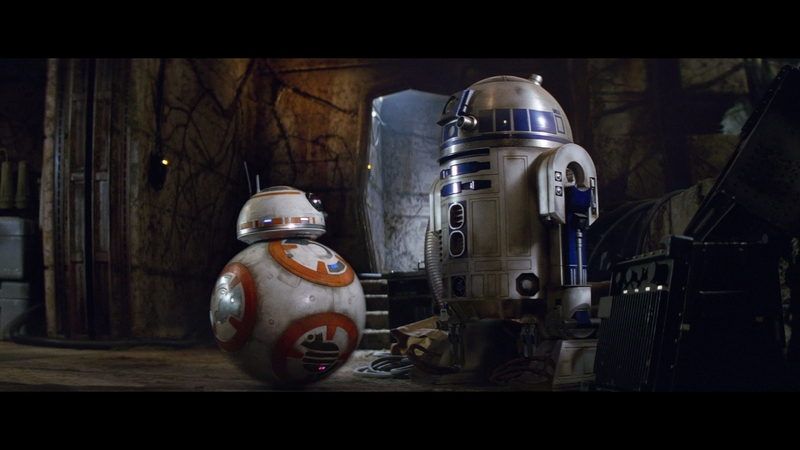 Disney still shies away from Atmos/DTS-X, keeping the same DTS-HD 7.1 track from the first disc. Thankfully, this is a reference quality mix to little surprise. Everything from the prior review carries over, from incredible bass to impeccable channel separation. 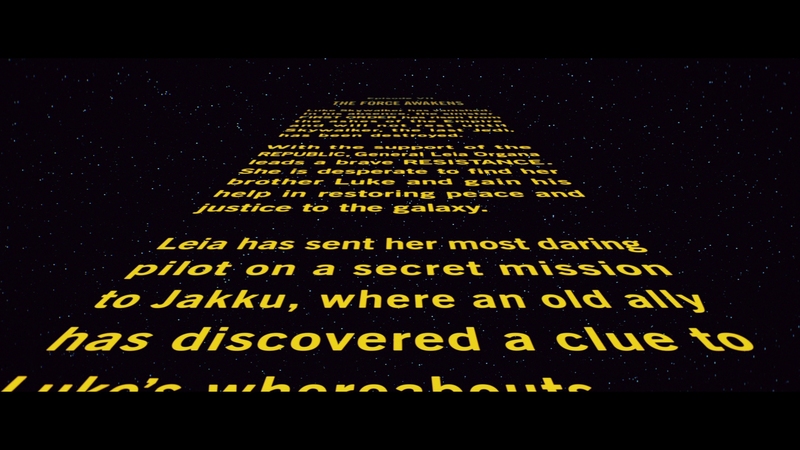 JJ Abrams comes in solo for this commentary track, only available on the 2D Blu-ray. He’s soft spoken, a little tired, and routine. Nothing juicy, just a typical production rundown with first-person insight. 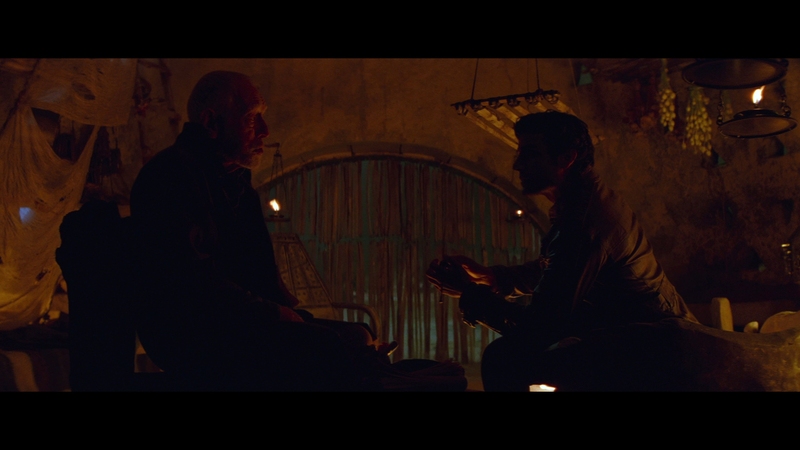 “Things begin with the four chapter, hour long Secrets of The Force Awakens. They follow production beats in order, from bringing the series to a new company, hiring Abrams, shooting, designing effects, and repercussions of certain story decisions. These are well produced and insightful segments. Seven featurettes follow, all under 10 minutes, most of them significantly shorter. What’s new? Two additional deleted scenes. Four more featurettes after that, including nice looks at foley work, audio design, costumes, and weapons. Together, those featurettes run 25 minutes. Scavenger and the Stormtrooper sits down Daisy Ridley and John Boyega to chat about their time on the film. This runs near 12-minutes. If this seems petty, it is. Keeping content off the Blu-ray earlier in the year doesn’t make it seem like Disney will change their Star Wars home video strategy from Lucas. At least Disney announced their plans beforehand. That said, the box is quite nice, with a lenticular cover, thick cardboard, and glossy fold-out interior. 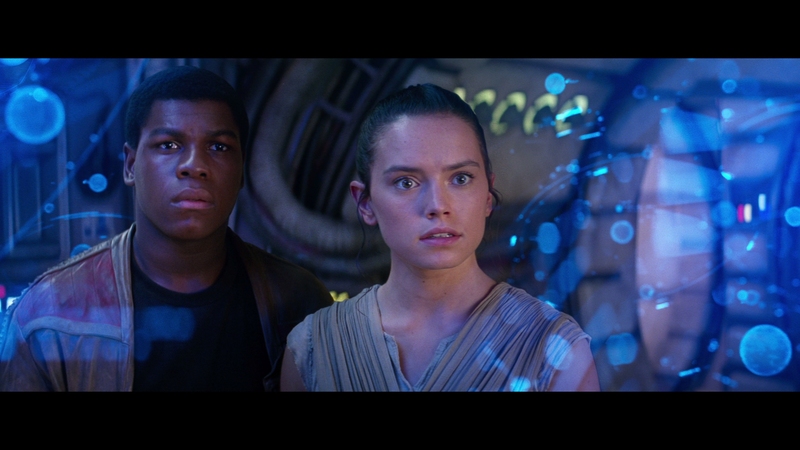 Disney’s Force Awakens Blu-ray double dip is a gorgeous physical package, but the actual content isn’t worth another purchase. 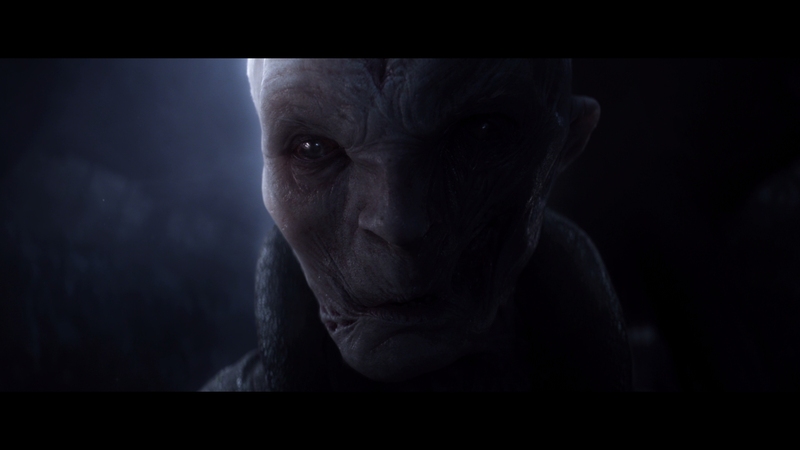 Click on the images below for full resolution screen captures taken directly from the 3D Blu-ray. Images have not been altered in any way during the process. Patreon supporters were able to access these screens early, view them as .pngs, and gain access to 22 exclusives.